A meeting on Wednesday between party representatives to discuss Foreign Minister Nikos Kotzias’s proposal for the creation of a National Council on Foreign Policy was disrupted after New Democracy’s Giorgos Koumoutsakos stormed out in protest that other foreign policy topics were not included on the agenda. Speaking to reporters, Koumoutsakos said that New Democracy, which has expressed its support for the creation of the council, had requested the expansion of the meeting’s agenda to include relations with Albania, Turkey and Russia, as well as developments in the Balkans. “There have been major developments in the country’s foreign policy,” he said. 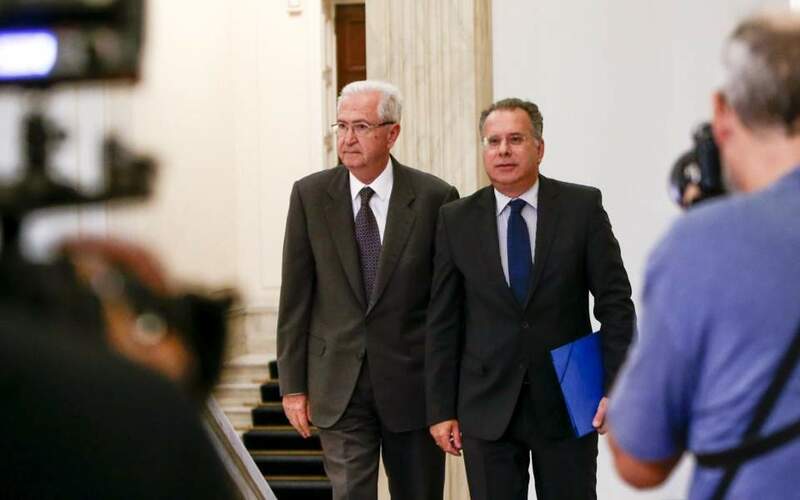 According to Kotzias’s proposal, the council will be under the control of the prime minister and have an advisory role on matters of national security.